1. The statutory text, in my mind, is inconclusive on the issue. (In the lingo of Chevron, the statute is ambiguous thus leaving some room for the IRS to adopt a reasonable interpretation by regulation (had it done so) and, failing that, for the Courts to adopt their own reasonable interpretation. The Tax Court has done so. 2. Another conclusion that, I think, the Court could have reached on the same statutory text would be that the restitution based assessment must be for taxes that the person owes under the IRC. One can rack one's brains for Code provisions permitting assessment of tax against a person that did not owe the tax. OK, I know about responsible person penalty (which is a separate liability merely quantified by the employer's tax liability) and transferee liability (which is also a separate liability quantified by the transferor's liability). Well, I guess, depending on perspective, one could say that, given the possible reading of the statute, § 6201(a)(4) functions in the same way. 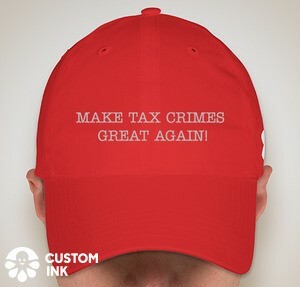 The sentencing order described the nature of petitioner’s offense as “aiding and abetting the evasion of payment of income tax,” within the meaning of 18 U.S.C. sec. 2. This section does not make “aiding and abetting” a distinct crime. Rather, it provides that a person who “aids, abets, counsels, commands, induces or procures” the commission of an offense against the United States “is punishable as a principal.” See United States v. Snider, 957 F.2d 703, 706 (9th Cir. 1992) (“Section 2 does not establish ‘an offense’ of which a defendant may be convicted; it merely determines which offenders may be punished as principals.”). Restitution orders in this setting are thus based on the underlying crime, not on the aiding and abetting.